Perks and packages play an important role when it comes to choose an occupation, especially when you are serious about making a career out of that occupation. Salary is one of those factors that make you feel satisfied with your profession and it is a kind of acknowledgement of whatever you have. Thus, despite possessing knowledge and the skills when you have to engage somewhere at a small salary package, you may not feel satisfied. In order to avoid such situations, we suggest you to consider moving from your home country to a developed country like Canada. With this information in hand, we might not resist yourself from immigrating to Canada. 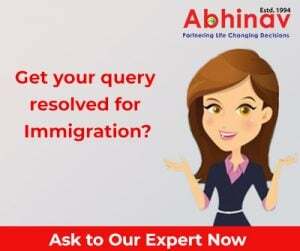 For more information, contact us at web@abhinav.com!